Molly dreaming of being at the helm. A windmill on Oscar's Pet Resort. 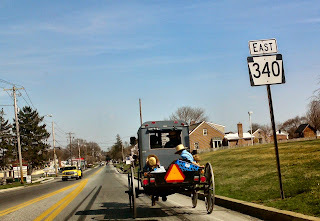 An Amish Family out for a ride on RT340. The young boy hide behind his hat as Am took the picture.